MIT Senior Lecturer Anjali Sastry teaches, researches, and writes about global health delivery at the Sloan School of Management. Shiba Nemat-Nasser assists with content, editing and management of this site. 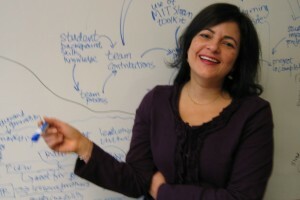 Ariella Dagi collaborates with Prof. Anjali Sastry at MIT Sloan to develop, manage and asses academic projects in global health delivery, identifying and distilling lessons learned to help advance knowledge about healthcare delivery.